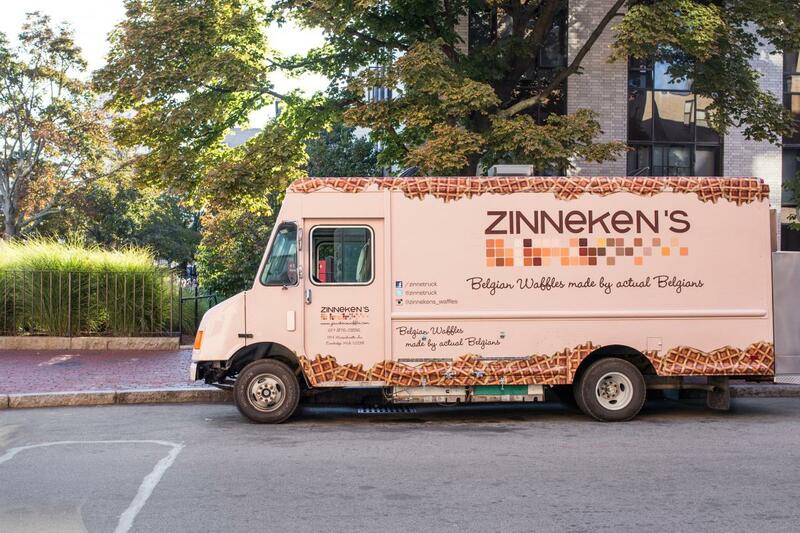 Give the waffles from the Zinneken’s a shot and watch your willpower drive off with the food truck. I smelled the Zinneken’s food truck before I saw it. The aroma of fresh Belgian waffles pulled me across Huntington Avenue with a gravity-like force. I was already full, almost out of cash and about to be late for class, but I just had to have whatever was behind that sweet scent. I’m a Northeastern student being sent off into the world by Craving Boston with a $20 bill in my pocket, and a rumbling belly. A food truck seems like as good a place as any to start talking about affordable eats, those roving restaurants are particularly beloved by millenials like myself. Boston food trucks provide a great bang for your buck when it comes to gourmet food on the cheap and Zinneken’s exemplifies this. The waffles start at $4.50 with topping combinations ranging from $1 to $4. Zinneken’s opened in 2011 as a small café near Harvard Square in Cambridge, run by Belgian natives Nhon Ma and Bertrand Lempkowicz. Anh-Phi Tran, another Belgian native, left a career in finance to launch the Zinneken’s food truck this past January. When I ask Tran what makes Zinneken’s waffles superior to every other waffle I’ve had, he explains that I am eating a Liège waffle. The Liège waffle is made with dense dough, rather than the batter typically used for American waffles. A crust of imported Belgian pearl sugar caramelizes the waffle. Tran says that because a dough-based waffle retains heat better than its batter-based counterpart, the Liège waffle is the perfect street food. My favorite topping combination is “The Zinneken’s,” with melted Belgian chocolate and speculoos, topped with whipped cream and dusted with powdered sugar. Speculoos, also referred to as "cookie butter," tastes like molten graham crackers. If it does not already play a major role in your personal food pyramid, it's time to shift your priorities. Tran told me that he occasionally has to forbid his truck employees from eating any more speculoos, for fear the truck will run out. I would be an earnest but terrible employee. I am 100 percent comfortable admitting that I do not have any self-control when it comes to Zinneken’s waffles. Give them a shot and you'll wonder where your own willpower went. For the Zinneken’s food truck schedule, check the Twitter at @Zinnetruck. For more information about the food truck, visit ZinneTruck.com. 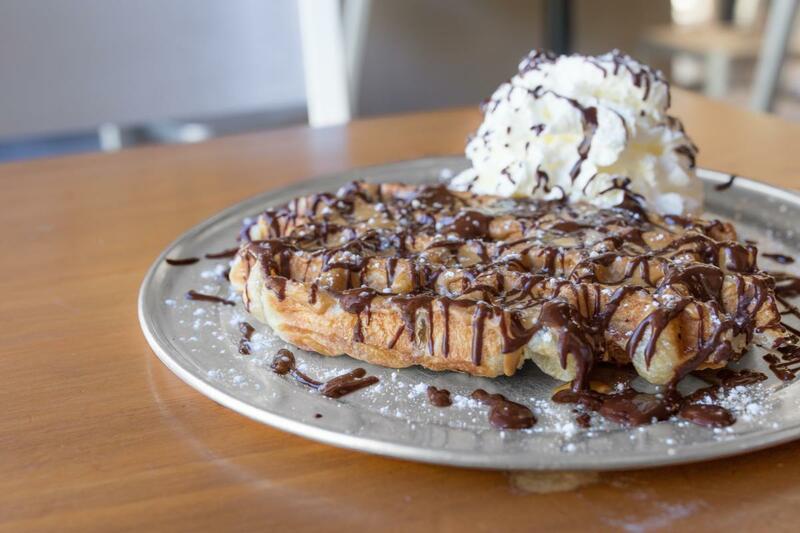 For information about the brick-and-mortar location in Cambridge, visit ZinnekensWaffles.com.